"At three the child is old. We must understand that after three it is late for so much"
Maria Montessori believed that education is the process of unfolding what has been given at birth. A child learns through interaction with the environment. The child goes through sensitive periods for order, movement, and language. These sensitive periods enable the child to choose from the environment activities suitable for his/her growth. Being able to follow this interest is necessary in order for the child to be able to reach his or her full potential. Therefore, the proper environment and the freedom to independently choose work are very important to the education of the child. 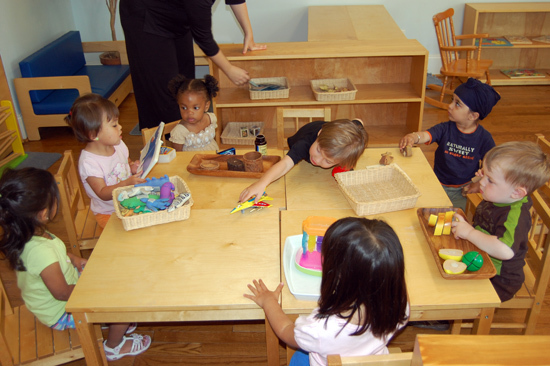 Montessori materials are child sized, child manipulated, and have a control of error. These criteria allow the child to work independently. 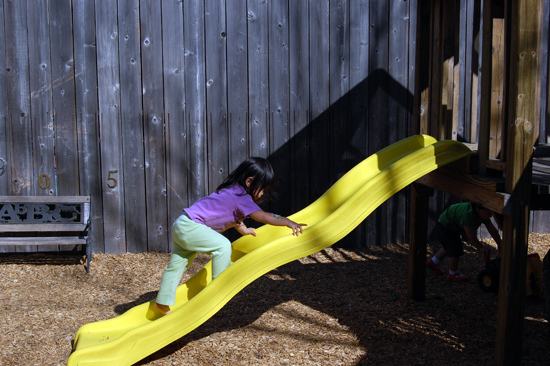 All Montessori materials require movement. 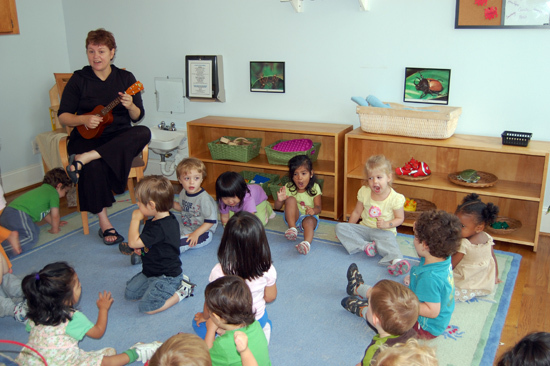 This type of education is very individualized and allows children to work at their own pace. Repetition and concentration are important aspects of this process. The childâ€™s work does not need to be rewarded with praise from the teacher. Rather, the work is the reward itself. Motivation is intrinsic rather than extrinsic with the goal of instilling a life long love of learning. "If teaching is to be effective with young children, it must assist them to advance on the way to independence. It must initiate them into those kinds of activities which they can perform themselves and which keep them from being a burden to others because of their inabilities. We must help them to learn how to walk without assistance, to run, to go up and down the stairs, to pick up fallen objects, to dress and undress, to wash themselves, to express their needs in a way that is clearly understood, and to attempt to satisfy their desires through their own efforts. All this is part of an education for independence." Choice is important, as the child has an inner guide directing him to that which is most appropriate for his growth. The environment is rich with activity choices. 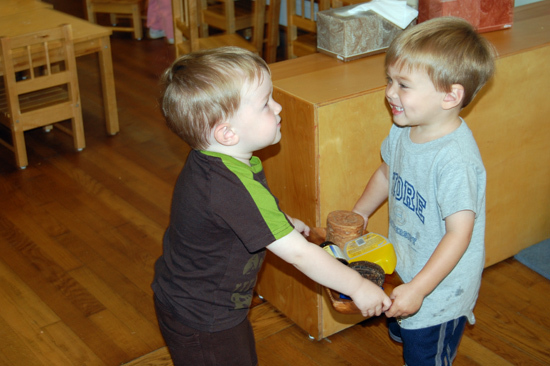 When toddlers work together they learn cooperation and conflict resolution. Snack is provided twice daily each morning and afternoon. Independence and coordination are achieved through self serve snack. 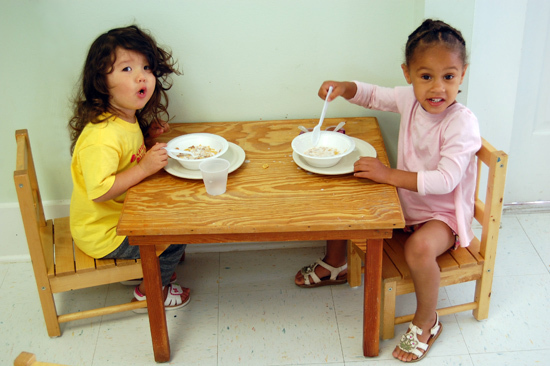 Self-serve snack allows children the opportunity learn to listen to their bodies and determine when they are hungry and how much they would like to eat. Child sized furniture and fixtures yield to the children's success and independence. The bathroom is an important place for the education of toddlers. 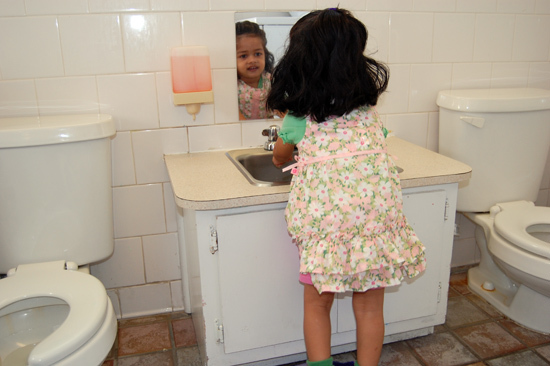 Toileting, dressing, and washing hand are very important parts of our curriculum. 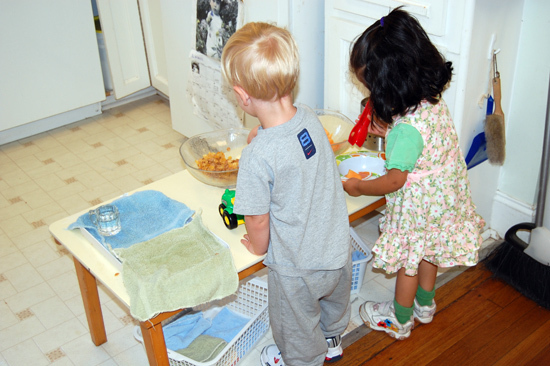 Children are encouraged to do anything they can do for themselves independently. This includes things like putting things where they belong or getting their own diaper at changing time. 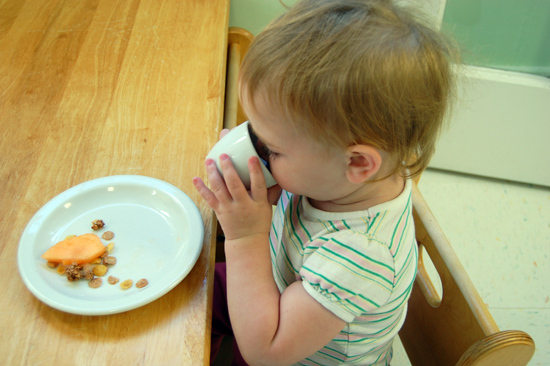 The toddler is in a sensitive period for gross motor movement. Our outside time is as important to development and learning as our inside work period. Photos taken by Debbie Shaw.